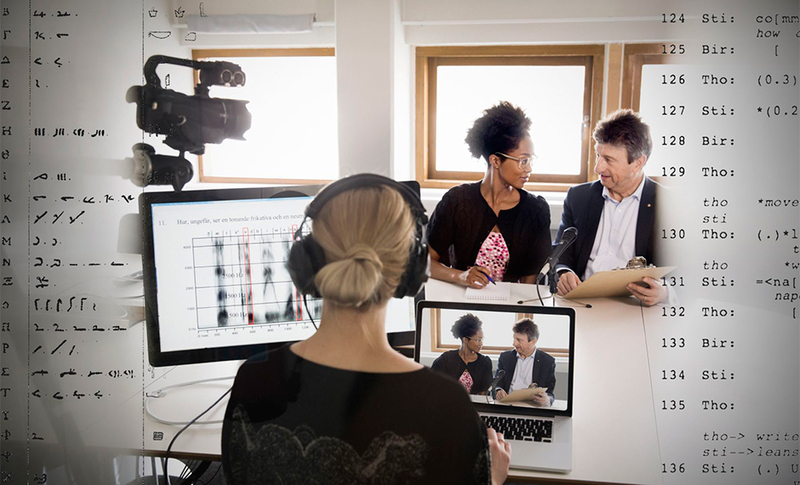 ”There are so many different ways of using digital media – and ’one size does NOT fit all’. You must adapt to different target groups, ” said Cissi Askwall from Vetenskap & Allmänhet, who moderated the session. 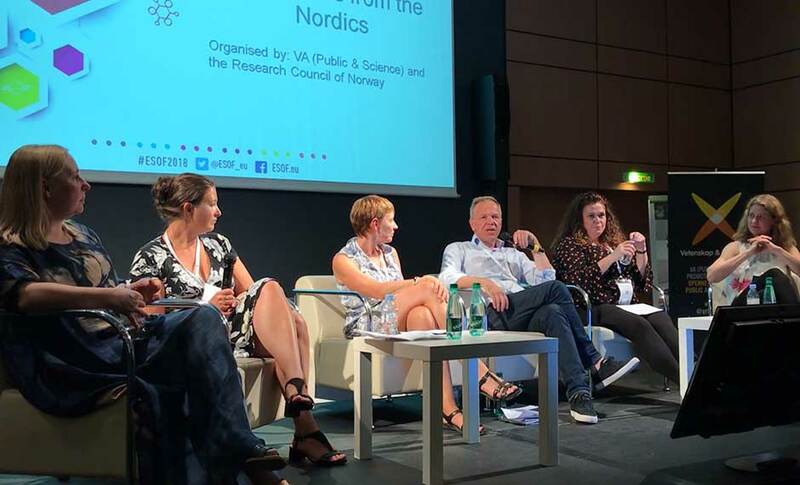 The session highlighted a number of successful Nordic science communication initiatives that utilise digital tools. One central question was how to engage, educate and entertain – all at the same time. Fjársjóður framtíðar, or “Treasure for the Future”, is a series of TV programmes about science – broadcast on national TV in Iceland. The aim of the series is to give glimpses into the research conducted across the University of Iceland’s five schools. Three seasons of Treasure for the Future has been aired to date; in 2013 about half(!) of Iceland’s population sat down in front of their TV and watched the programmes. “The transdisciplinary approach which we adopt makes it more interesting for people. For example, we talk about something from biology and approach it from the point of view of philosophy, arts, linguistics, anthropology, ethnology, and folklore. A simple thing such as discussing birds or fish becomes much more interesting, and it will appeal to a larger audience,” said Aðalheiður Jónsdóttir from Rannís, the Icelandic Centre for Research. Broadcasting has also been a successful way of promoting science in Estonia. Rakett69, (“Rocket69”) is a science competition show broadcast by Estonian Television and funded by the Estonian Research Council. The show was developed eight years ago to increase the visibility of science, technology, engineering, and mathematics. The contestants compete to win a €10,000 scholarship to further pursue their career in science. Teams are challenged to solve creative assignments during a total of 16 episodes. At the end of each episode, one participant loses and drops out until there is only one participant left, the winner. The production involves both a TV crew and a science team consisting of lots of people from academia, industry, science centres as well as previous contestants. It is supported by social media, vlog, online editorials, etc. “We aimed to create more visibility for science, technology, engineering, and mathematics with Rocket69. We got that – and much more! We have now got a young generation growing up with the show and dreaming of signing up for it when they are old enough,” said Terje Tuisk from the Estonian Research Council. From Norway, the example Prosjektbanken (“The Project Databank”) was presented. It is an open access project aimed at making information about projects funded by the Research Council of Norway publicly available for journalists, decision makers and the general public. “The purpose is to display statistics and information related to projects funded by the Research Council in a highly visual format. Sharing data is one of the most important subjects that you can work with now. But we also need to package the data in a way that makes it accessible. After running the Project Databank for two years now, we see that it is primarily used by journalists, NGOs and researchers, but is also starting to be more used by the political establishments,” said Thomas Evensen from the Research Council of Norway. DIT-Heureka is a Finnish co-creation environment for start-ups. It is funded by the Technology Industries of Finland Centennial Foundation, and DIT (“Do-It-Together”) is physically located at the Heureka Science Center in Vantaa. “Schools have tablets, but they do not yet have sufficient knowledge about good learning applications and how to utilise them in teaching. Startups have games and applications suitable for school use, but they do not have the right users to test them out. The DIT-Heureka project is offering a solution to these challenges, by providing a test environment where startups developing learning applications can co-create and develop their applications together with users,” said Leenu Juurola from Heureka Science Centre. The DIT-Heureka has so far arranged co-creation workshops for schools, groups and startups, 20 companies and around 800 pupils. There has also been networking events and hackathons. Swedish Vetenskap & Allmänhet’s representative Helen Garrison presented the News Evaluator experiment. It is an app designed to teach young people a research-based approach to source-criticism, while providing researchers with data using a citizen science approach. The experiment was run as part of the European Researchers’ Night last autumn – something that Sweden participates in every year. The session ended with a panel discussion where all presenters together with the audience shared additional thoughts about digital technologies being used for science communication and engagement, and how best to create successful digital science communication initiatives.